Do you wanna admire London from the sky? 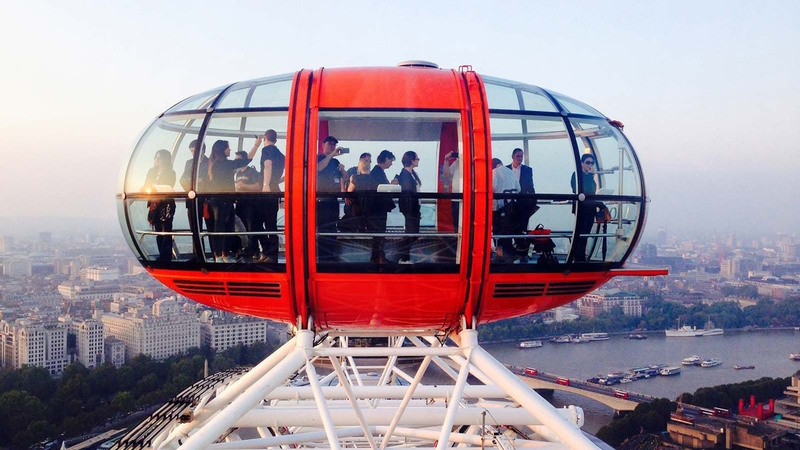 Climb the London Eye, the tallest Ferris wheel in Europe! When it opened to the public in 2000, the London Eye was actually the world’s tallest Ferris wheel and nowadays it has been surpassed by three other wheels all around the world and it’s ranked with a solid 4th place. Nothing less than the London Eiffel Tower. The Eye is the best panoramic point of London and you should not miss the opportunity to experience it. You can also purchase a Fast-Track access and avoid the long lines. London Eye is scheduled to be closed for its annual maintenance from 07th-22rd January 2019 and a similar period in 2020). Tickets include the London Eye 4D Cinema Experience. Please note that admission to the 4D Cinema Experience is only valid on the day of your London Eye ticket. The London Eye 4D Cinema Experience lasts approximately 3 minutes and 45 seconds. All guests must collect a pair of 3D glasses on entry, which must be returned to the LEC on exit from the cinema. The following special effects are used in the 4D Cinema Experience: fog, bubbles, wind, snow, strobe lighting, and vibrating flooring. The use of these special effects are intermittent, and while every effort is made to ensure the wellbeing of guests, the LEC does advise that guests with pre-existing condition that could be exacerbated by exposure to any of these effects should not enter the 4D Experience. Please exchange your voucher at “Ticket Collection Desk”. The Coca-Cola London Eye is situated on the South Bank of the river Thames, opposite the Houses of Parliament.